Exceptional 1.5 Story custom home in Stonegate neighborhood. Quality features thru-out home. 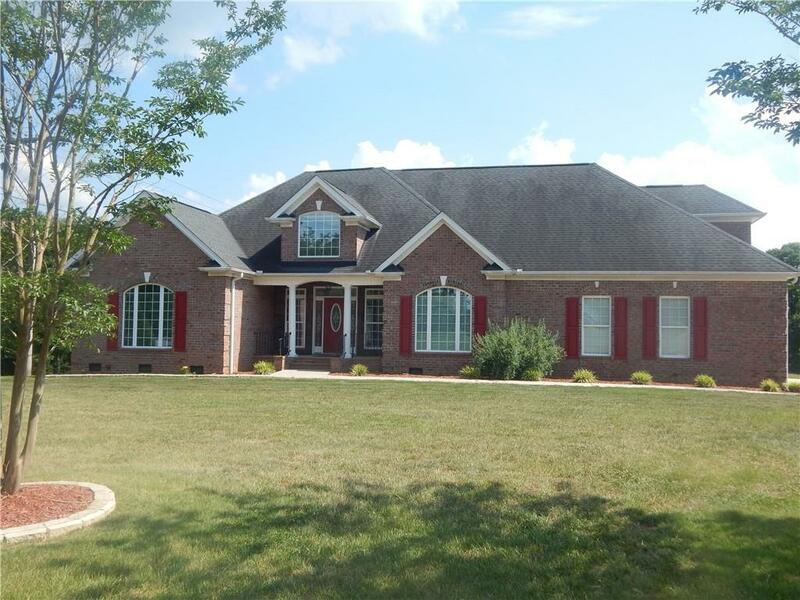 Open cathedral ceilings, spacious great room w/ FP opening to Sunroom and large back patio12x28 for entertaining. Kitchen w/ample storage, pull-outs, granite counters all new appliances in 2014 with breakfast nook & formal dining room. Oversized Master Ensuite w/ trey ceilings, New Bamboo Wood flooring, his/hers WIC, Whirlpool tub, Sep shower, Dbl vanities. Two separate spacious Bedrooms W/Full Bathroom, Attached oversize Garage w/ above finished space & Det 28 x 27 Dbl Garage/Workshop. Heat Pump 2013, New carpeting thru-out. This home will not disappoint. Call today!